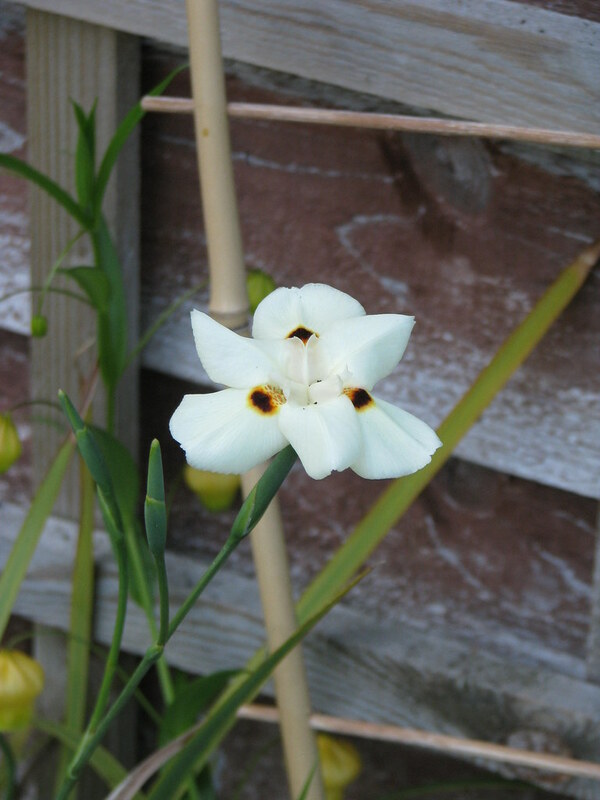 A South African Iris relative with extremely striking round creamy flowers with three bold orange and black blobs towards the centre. 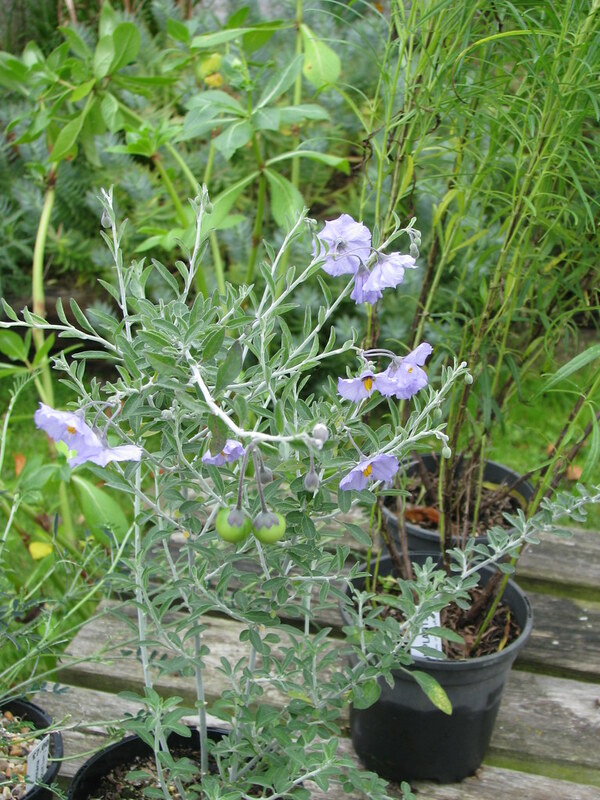 The plant gradually forms a dense evergreen tussock, very like a Libertia, with the flowers held on wiry sems above. 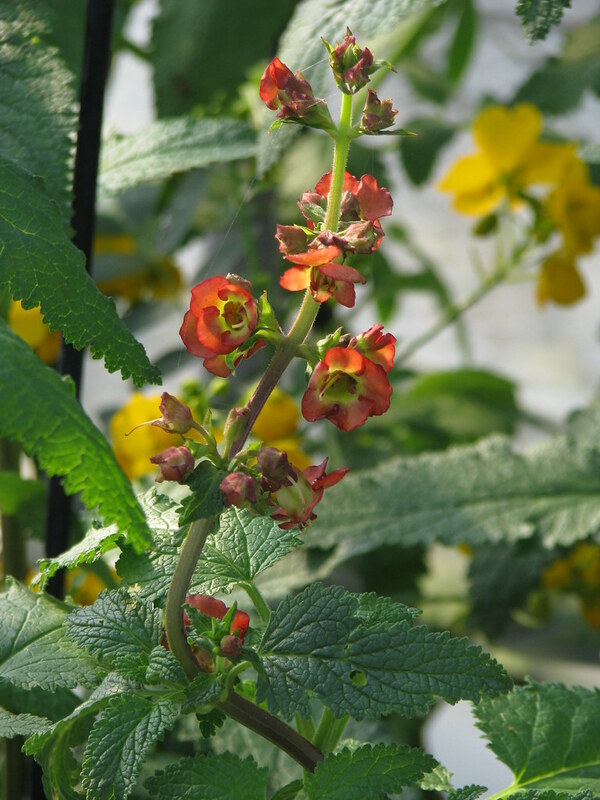 Although this plant is happy in a wide variety of conditions it will need a very sheltered well-drained site in the UK or a large pot, brought inside for the winter. The parent plant has overwintered fine in a terracotta pot in an unheated tunnel for many years now, but I haven't planted any outside yet. A very choice member of this often rather weedy genus from Gran Canaria. 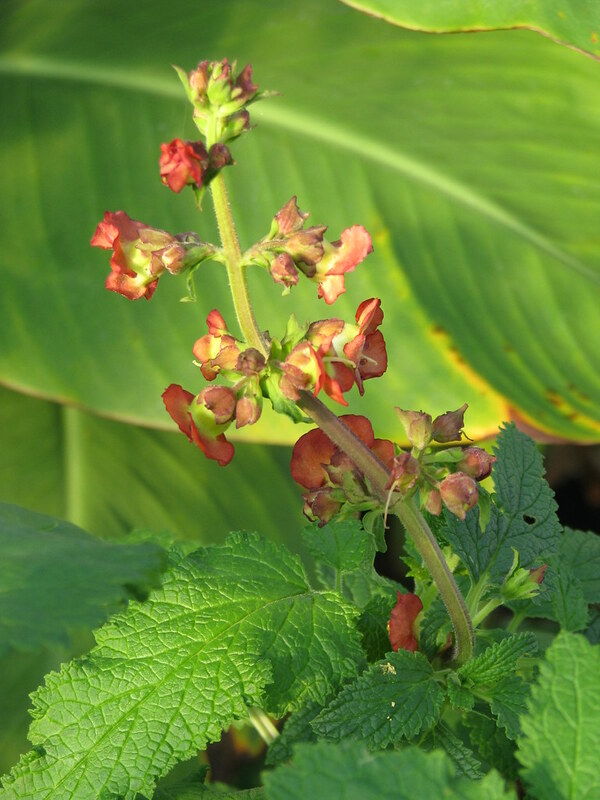 It has relatively large (2cm) pouch shaped flowers – lemon yellow within contrasting with relatively large rich red petals. 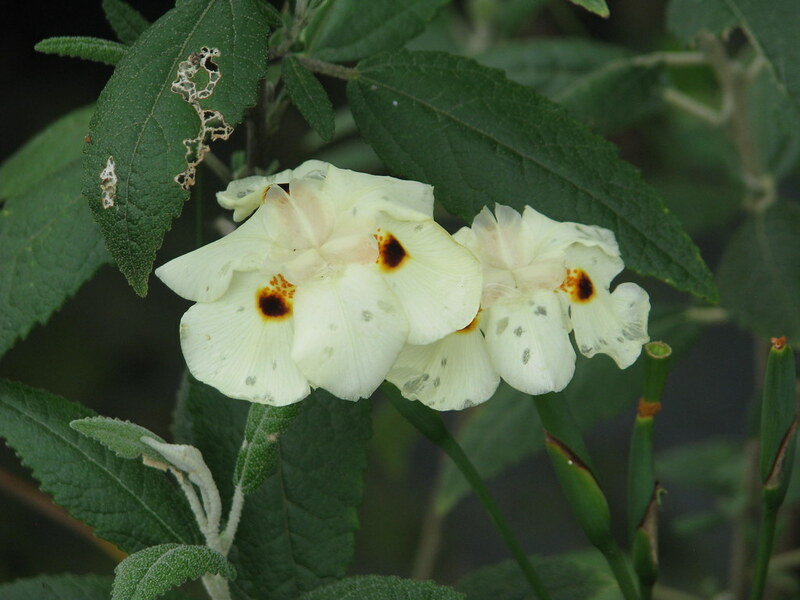 The resemblance to the related Phygelius is quite noticeable in this species. The foliage is lush rich dark green. 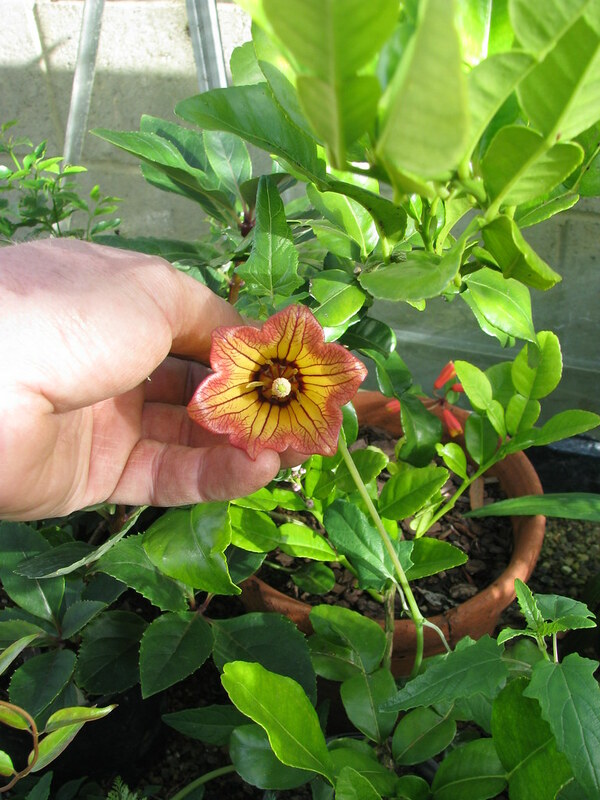 Untried in the UK but almost certainly tender, requiring a frost-free greenhouse in winter but flowering throughout so worth it. Any well-drained soil in sun or part shade. 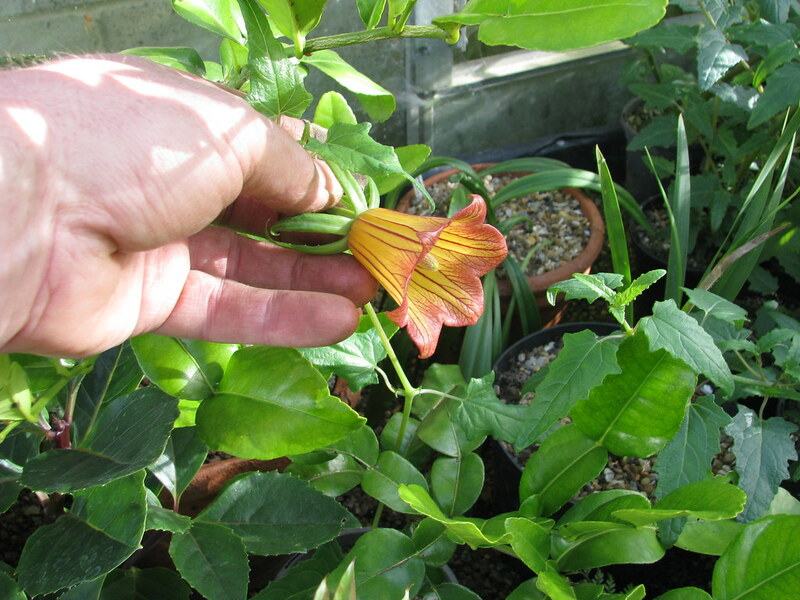 A tender herbaceous climber from the Canary Islands similar to a Codonopsis but with big red and orange striped bell flowers. 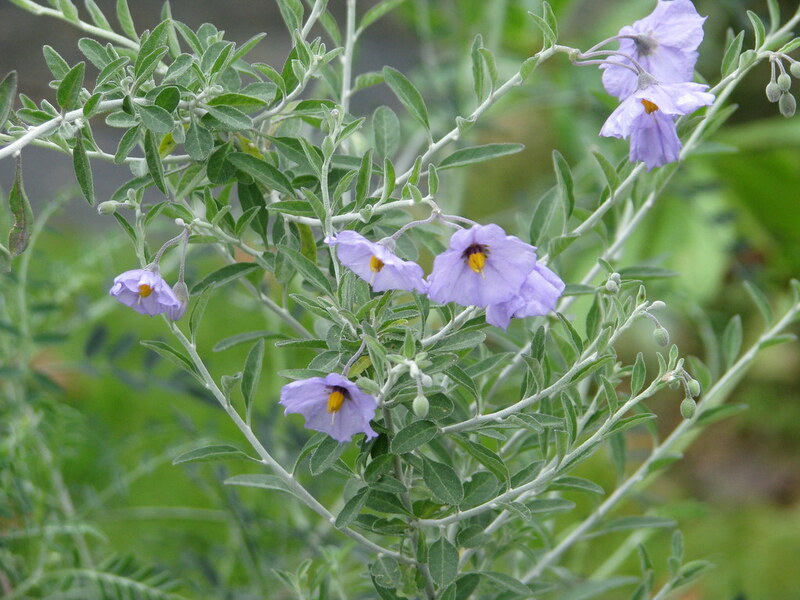 A very pretty Californian species combining good sized lavender flowers all summer, and greyish stems and foliage on a low spreading subshrub. Not at all coarse or weedy. 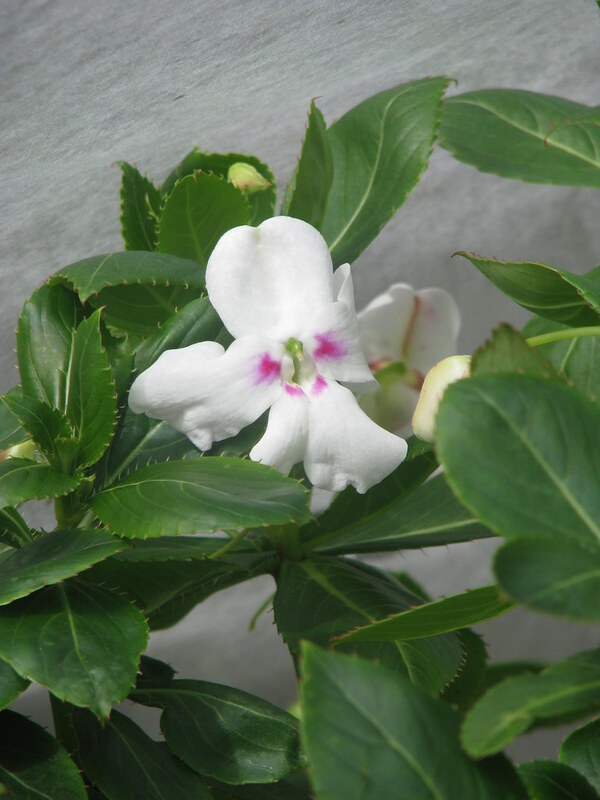 A gorgeous tall species from (you guessed it) tropical East Africa with large white flowers, delicately marked with pink, and good quality fresh green foliage. 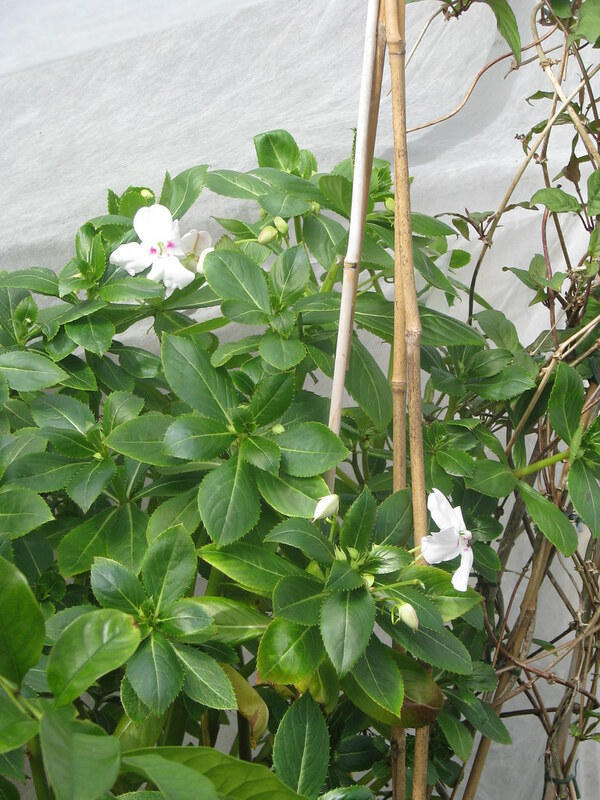 Not hardy but an easy and undemanding species that requires only frost-free conditions in winter and can be stood outside in summer.